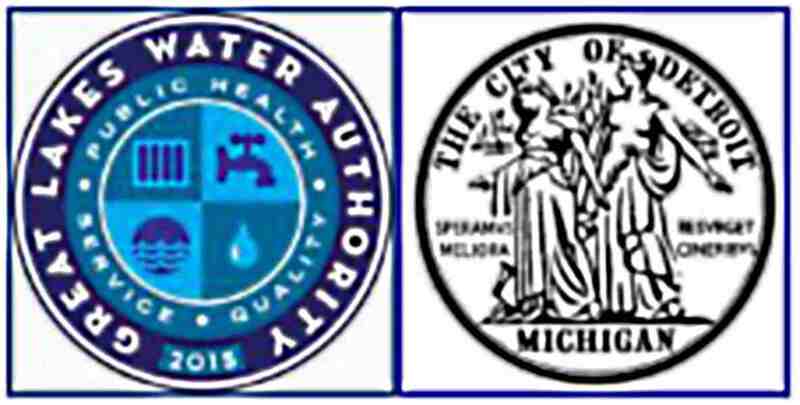 Friday, the Great Lakes Water Authority board approved a 40 year duration lease of Detroit Water & Sewerage Department’s assets and operations outside of the city of Detroit. This approval passed by a 5 to 1 vote with only Macomb County’s representative on the GLWA board opposed. The terms of the lease subordinate the DW&SD to the GLWA, a new intergovernmental authority created out of the ashes of the City of Detroit’s bankruptcy by a Memorandum of Understanding. Merriam-Webster defines a ‘franchise’ as “ the right to sell a company’s goods or services in a particular area; also, a business that is given such a right”. Exactly the nature of the GLWA lease agreement with the City of Detroit. Should you doubt that the City of Detroit constitutes a ‘company’, Merriam-Webster defines a ‘company’ as “ an association of persons for carrying on a commercial or industrial enterprise”. Exactly what DW&SD has been doing for over 100 years. it establishes our Legislature’s authority over intergovernmental units. But these two sections do not unambiguously grant the Michigan legislature exclusive authority over intergovernmental units, so there is probably legal wiggle room here. Contrary to Representative Heise’s contention, a good lawyer could make a case that the U.S. Bankruptcy Court could establish the GLWA under Article VII, Section 28 and Article III, Section 5. The State of Michigan has been acting as a voting member of the GLWA since signing the MoU last year. Our constitution requires enabling legislation – according to Article III, Section 6 – authorizing the State to be a party to, and financially interested in the work of the GLWA, which by its very definition is ‘internal improvements’. No such legislation exists. The GLWA is not legally constituted under the 1963 Constitution of the State of Michigan because there is no enabling legislation allowing the participation of the State of Michigan, the agreement approved on Friday exceeds the temporal limits established by our Constitution for local government franchise agreements, and the State of Michigan’s vote on Friday was invalid. Rarely does an instrumentality of government so blatantly violate Michigan’s Constitution. Will our Attorney General now enforce our Constitution? The only time that Schuette will get off of his lazy derriere and do something relating to violations of the Michigan Constitution, which this most certainly qualifies as one, is when Mark Hackel is beating the tar out of him in the polls leading up to the '18 Gubernatorial Race. Yep. Anyone who is not bright enough to correlate the words Foxtrot Uniform Bravo Alpha Romeo when it comes to all those slugs sent to Lansing, deserves the unrestrained, socialism-based form of government we're getting. Schuette toes the Party line when it comes to our Constitution, which ain't a whole helluva lot different than the New Left actors in the Democratic side other than Team R is a wee bit slower in blanket application and, a tad more selective towards lining billionaires pockets. People forget LBrooksP was a Lawyer and OaklandCounty Prosecutor for 16 years. The GLWA involves LOTS of lawyers, and this author wants to play amateur law professor ? People also forget that we have Michigan and U.S. Supreme Courts to remedy unconstitutional acts of government, most of which just happen to be the work of experienced prosecutors. Neither the Michigan Supreme Court or SCOTUS seem to want for cases these days. Your comment would be more effective if you could challenge any of the premises in the post. But you can't. And LPB thought that he was also exempt from the Laws of Newtonian Physics. Fat lot of good it done for him then. I wouldn't be so quick to cut this challenge down just quite yet. "Obamacare" is in serious danger because of just a few words, whom the architect of said law said in no uncertain terms, meant exactly what he said when he wrote them down. And very much like Obamacare, great efforts were taken by "experts" in writing the Detroit Bailout as well.